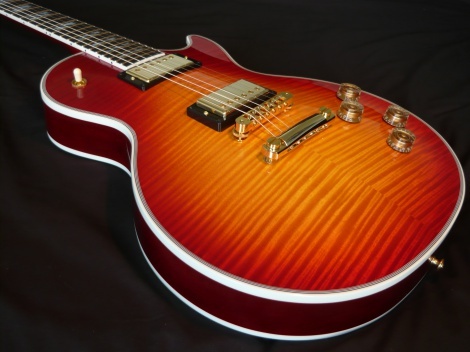 2013 LES PAUL SUPREME AAAA Flametop in Heritage Cherryburst. Absolute Monster Top and Back. New in box, 100% mint, genuine made in USA, not a demo in a retail store. Calling all Gibson fans who delight in craftmanship and beauty. A gorgeous Les Paul, with elegant appointments, classic warm tones, smoking hot lead tones, elegance, style, grace. This is a monster AAAA top and back. This is definitely a dream guitar for the discerning Gibson lover. Not readily available, has richness and depth, true eye candy.